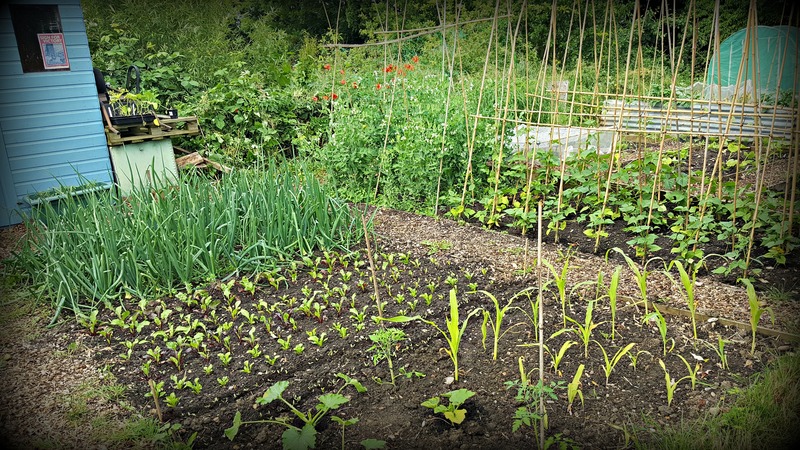 Everyone is different and everyone approaches things differently, so on a small section of God’s green land, that’s divided and shared among the green-fingered community, it’s inevitable that tensions between tenants will arise on occasion. Whether it’s competitiveness over the best looking spuds, or ownership over the last shovel of free horse manure, we all like a good moan. 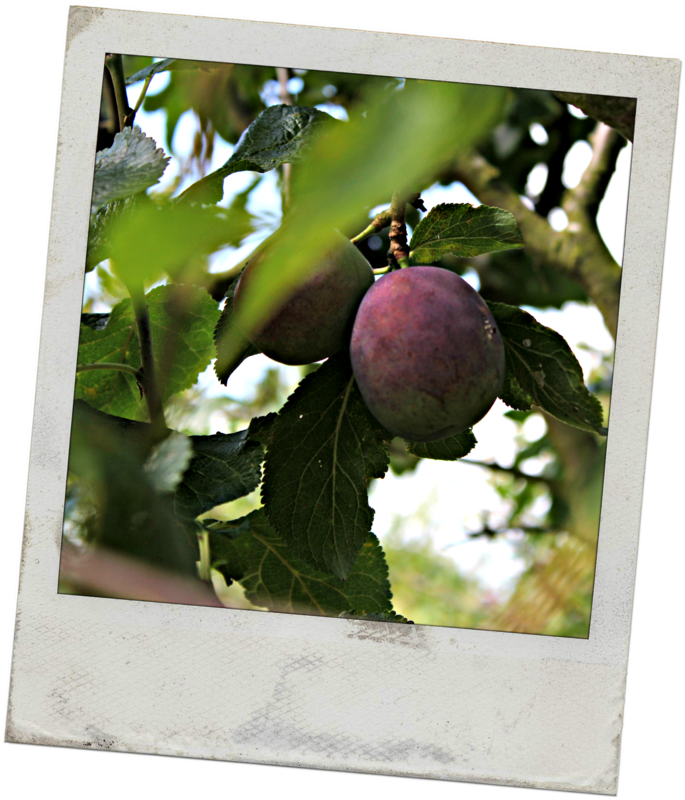 However, when allotments are left to ruin and start encroaching on your own garden of Eden, what can you do? At present, my allotment is surrounded by several disused plots. 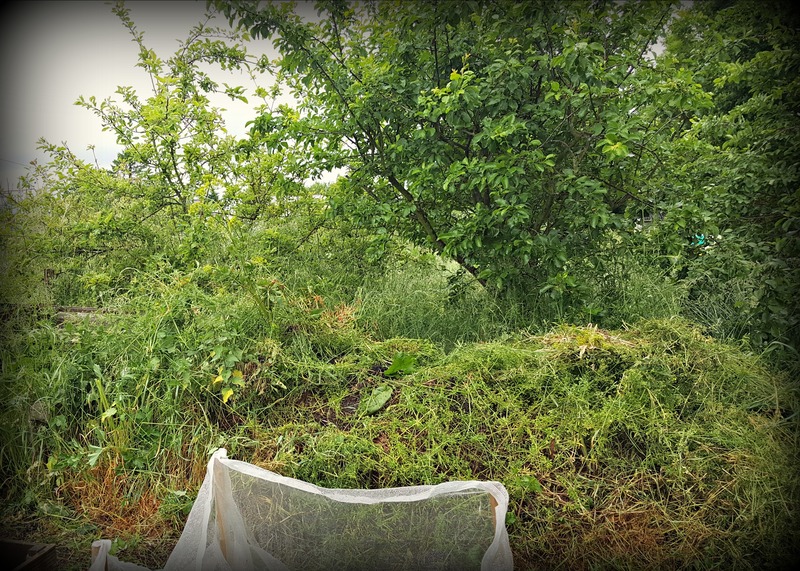 One includes a wonderful orchard full of plum and apple trees, gooseberry and raspberry bushes. Up until early last year, the chap who rented the plot would maintain, prune and mow the surrounding grassland. We would always exchange pleasantries, comment on the weather and compliment each other’s hard work. He began building some decking, brought up a barbecue, and talked about spending summer evenings relaxing among the trees. Come autumn, the orchard would be bulging with fruit for the taking, it was a splendid sight, and followed by its pretty blossoms in spring, you couldn’t help but envy his orchard. Unfortunately I haven’t seen him since spring last year, which meant, by autumn, his trees and bushes were teeming with fruit, and left to rot. Nevertheless, I did lighten the load by taking some of the fallen fruit. Right or wrong, I couldn’t bear the thought of it going to waste, it seemed criminal. Several months on, there’s still no sign of the fella and his orchard has become overgrown and lost in the wilderness. But what makes it worse, it’s now encroaching on my allotment. I had hoped to see him, as I know he still has the lease on the plot. I was looking forward to a friendly conversation where I could find out what’s going on, and see if he was going to make good. But with no sign of him, I’m finding I’m losing precious time as I have to constantly cutback the excessive growth. I’ve also noticed, compared to last year, a lot more of my crops are suffering from bug attacks. Of course this could just be a coincidence, but part of me thinks these troublesome critters have been making their bug homes in the overgrown areas, and feasting on my goods in the small wee hours.. Grrr! 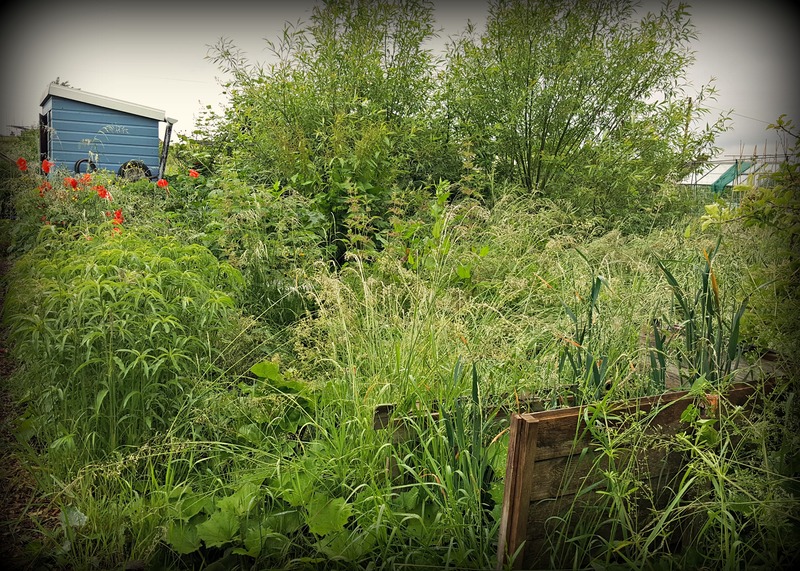 But when your allotment is surrounded by disused plots, you have to ask, should people be allowed to hold onto them? After all, with such high waiting lists, it seems rather self indulgent to have something for the sake of having it, and then not using it. Of course, personal and health issues do occur, so without a doubt, allowances should be made. But still. For now, I hope the orchard man is fine and in good health, and that he soon makes a welcome return. Otherwise, I may suggest to the allotment secretary that something needs to be done with the autumn fruit. Which brings me onto the next item on the agenda..
How do you evict these unwanted buggers? If you have a high waiting list, don’t you have regular inspections? It should have been picked up last year. We have 2 inspections per year which mostly keeps things in check – the first one’s due this month.(eep!) But if the poor chap’s not well or going through a difficult patch, perhaps you could strim the grass back for him. He’d probably hate the sight of it like this as much as you do. A tough call, but I think Beryl has the right approach. The first step would be to find out what the issue is—is he having health or some other personal problem? Then go from there. 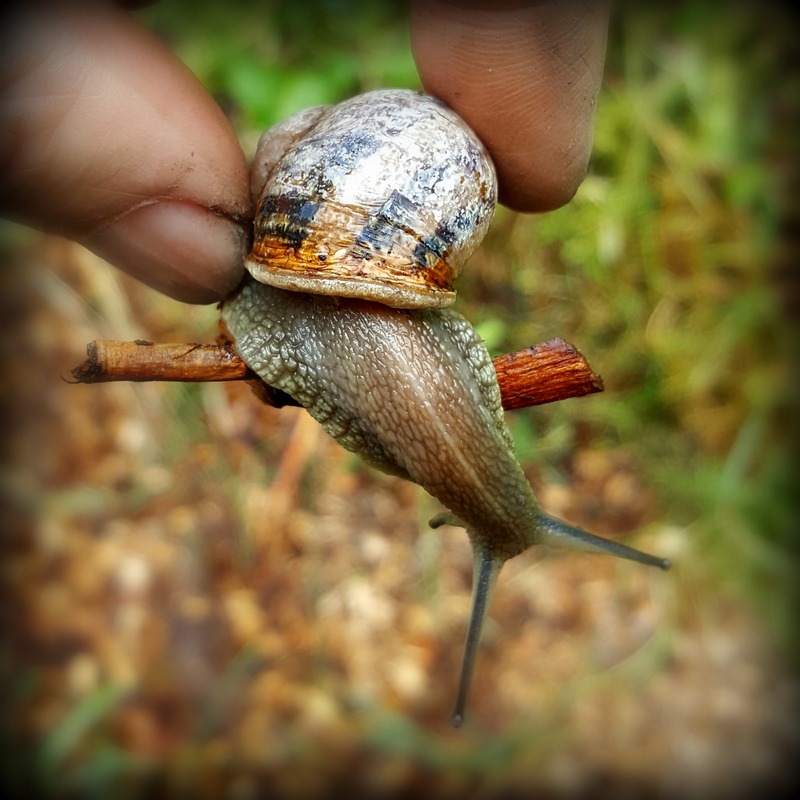 As for snails (and slugs! ), which the little house in the big woods have aplenty, I often resort to a jar of soapy water. Then, I hand-pick the little munchers and drop them in. Makes me feel bad to do this, and I would never bother them anywhere off my property. However, when they start go after my darlings…no more Ms. nice gal. Ever thought about asking a French person what to do with snails ? leaving a dish with some beer in it works, they slither in and drown. Apparently they find the smell of beer irresistible!